Growing up, I spent most of my summers at my Grandmother’s lake in Minnesota. 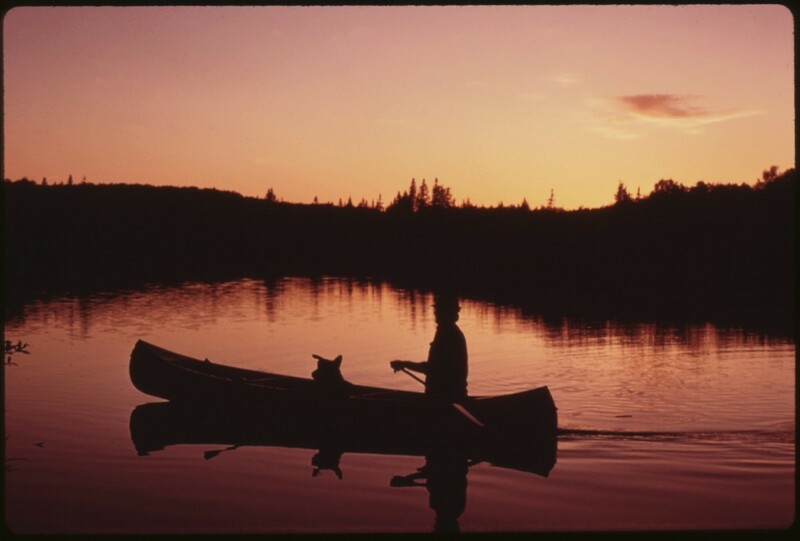 One of my favorite memories is when I would take the canoe out on the lake around twilight. Usually, in that hour between light and dark, the lake would take on a glass-like calm. It was then that you could paddle out onto the lake, gliding through the water with the only sounds being the whoosh of your oar, the occasional glup of a fish eating at the surface, and the lonely calls of distant loons. When you paddle through calm water, the water rushes in behind your oar creating vortices. This always happens. It is basic physics. But in calm water you can see these spirals of water clearly, and they can last a very long time. The interesting thing about these water spirals is how they spin through the water. You can watch one form, drift slowly, and die as if it is a single entity. But in reality, these spirals are a form the water takes. The spiral is made of water, but not the same water for its whole existence. Water molecules are caught up by the spiral, make a swirling dance within it, and then return to the stillness of the lake. The spiral moves on, flowing through the calm. Humans, as with all living things, are much the same. Our bodies are a dance of atoms forged in stars. We move through the world as a single pattern. But the physical world flows through us. The air we breathe, the food we eat, the water we drink, becomes a part of us for a time. They join us in our dance only to leave after a time. We borrow our existence from the cosmos. We flow on until, like spirals of water, we fade back into the calm. Happy Birthday. May this year be your best ever. And with all earnest respect may I add, you’re sounding more and more like Carl Sagan all the time. Perhaps you have some of his atoms dancing within you. Happy birthday, Brian! God bless you more and your studies of wonder!